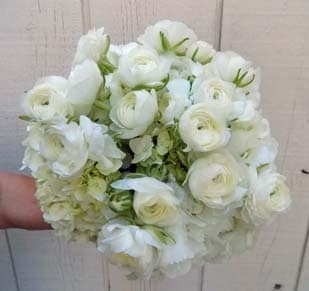 Send fresh flowers with heartfelt sympathy to friends and loved ones during times of sorrow and grief. 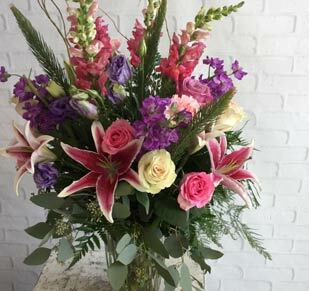 Call Martina’s Flowers and Gifts at (706) 863-7172 or shop our sympathy and funeral flowers online. During times of pain and grief, our funeral and sympathy flowers are the most lovely way to express your sincere condolences. 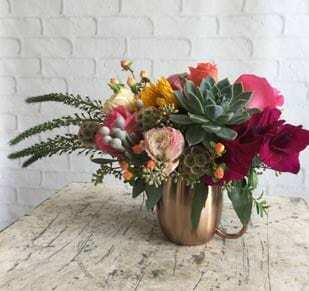 House plants and sympathy arrangements are meant to console those who are in mourning or pain. Funeral arrangements like floral wreaths and sprays are customized to meet the exact needs of a funeral service. When you order funeral flowers, keep in mind that they do not necessarily have to be traditional white lilies. 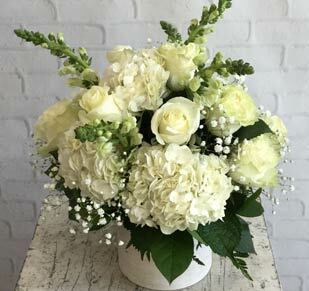 With the assistance of our floral experts, you can create a special tribute that showcases the life of the dearly departed using market-fresh blooms straight from our growers. Our trusted flower delivery service will deliver your order of flowers to a church service or funeral home in a safe and timely manner. Local delivery is currently available in Augusta, Clarks Hall, Langley, Beech Island, North Augusta, Appling, Blythe, Evans, Grovetown, Harlem, Hephzibah, Keysville, Fort Gordon, Peach Orchard, Martinez, & Forest Hill.